*Glasshouse tomatoes. Earthy, leafy and full of sunshine. Crisp with stem-green galbanum. Lively with artemesia, fruity with cassis, resting on a cushion of moss. Tangy and evocative. That is the true Jo Malone description of this candle. 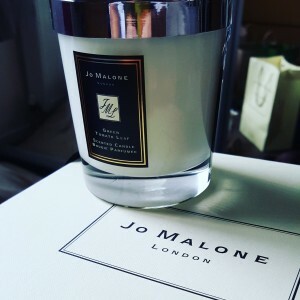 I love all Jo Malone candles and particularly like this fragrance. The fragrance name may put people off but it really is a delightful smell that fills the whole house when lit. Candle burn time is 45 hours.